I agree with Ben Kunz who says Mars, the maker of M&Ms, is brilliant. 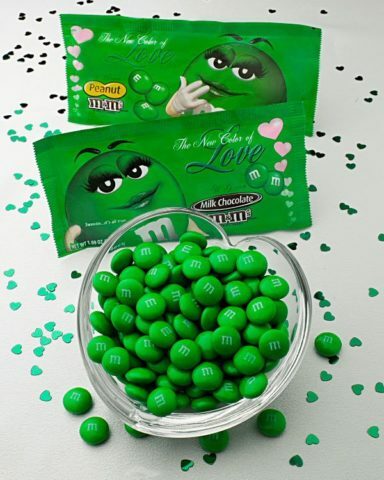 You see, they’ve decided to package Green M&Ms for Valentine’s Day this year. It’s no secret that chocolate has its own aphrodisiac qualities. Now, top that chocolate with a green candy coating, and you’ve got the best of both worlds! Here’s everything you want to know about Green M&M’s and some reasons you might want to go green with your favorite candy this year. Green is the new pink… right? See how you can make your own personalized M&Ms — green ones, or any color you choose! They’re saying that green is the new color of love. Red is out. Pink is out. Green is all the rage this year… and that includes your favorite candies! Here is the official press release from Mars Snackfood about their Green M&M’s. 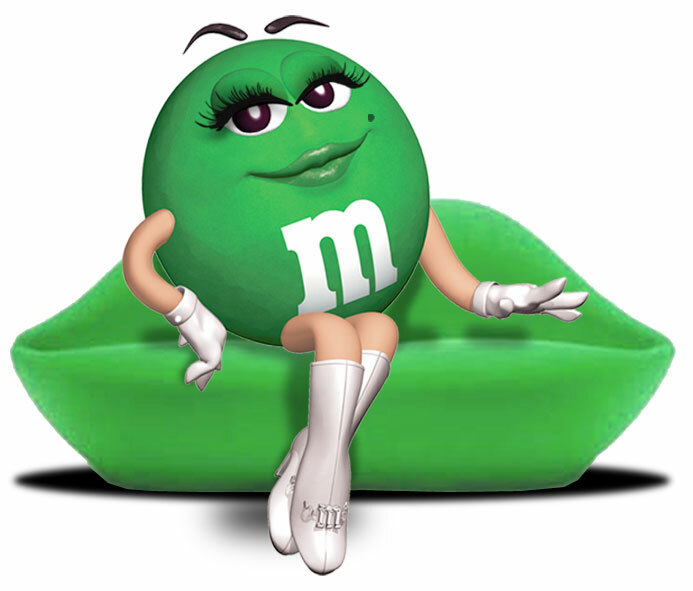 Ms. Green joined the M&M’S pack in 1997 as the first (and only) female spokescandy. She instantly captivated fans of the iconic candy with her luscious lips, slightly suggestive smile and white-hot go-go boots. Famous for her sometimes intimidating “I melt for no one” bravado, Ms. Green is turned on by simple candlelit dinners… in Paris, and isn’t shy about promoting her beauty and special powers. Whether Green M&Ms have aphrodisiac qualities or not is largely debated — for years it’s been this way. Did you know there is another ‘secret power’ that Green M&Ms are rumored to have? This one centers around baseball. Supposedly, if you eat a Brown M&M, you’ll get a single. Eat a Yellow M&M and you’ll get a double. Eat a Orange M&M and you’ll get a triple. And eat a Green M&M and you’ll get a HOMERUN! Want your own Green M&M’s T-shirt, coffee mug, plush character, etc? There are lots of fun Green M&M products here! Check out the official Green M&M’s character page. Now, you can order Green M&Ms for yourself! Make your own personalized M&Ms candies in lots of fun colors. 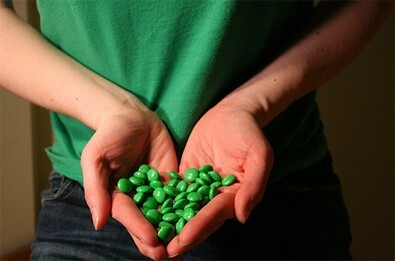 By the way, they say that Green M&Ms taste just the same as other colors of M&Ms.